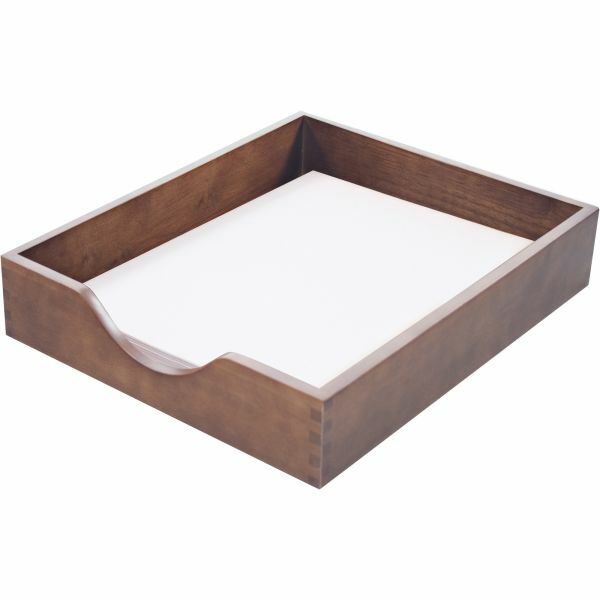 Carver Walnut Finish Solid Wood Desk Trays - Desk tray features solid lock-corner construction and a walnut finish to enhance your office decor. Cutout in the front-loading tray offers easy access whether the tray is stacked with other trays to organize your paperwork. 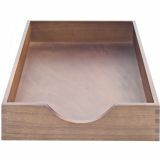 Wood desk tray requires a set of Carver supports for stacking.